This method will allow you to install Ubuntu from Windows, just like the way you install any other software. 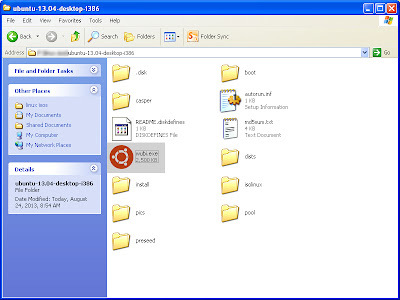 The advantage of installing it this way is that you can uninstall it easily from Add or Remove programs or Ubuntu wubi uninstaller as a normal software. Here's the official installation guide on the Ubuntu website. Download the iso of the Ubuntu installation you want. Extract the iso using WinRar. Now click on the wubi.exe and follow the same steps as mentioned in the official installation guide. If you are using the windows installer method, in case of a slow connection if the connection is interrupted the download will stop and may not resume. Hence its safe to download the iso (which will definitely resume) and follow the steps I mentioned above. Now that you know how Ubuntu is installed from windows, here's the uninstallation guide.